Purchase your Book or the App version, you can do this on the website or call into one of our stockists linked below. If you have purchased the Printed Book - Activate your book with your unique membership number on the card that came with your book. This can be done on this website by clicking Activate Book in the menu or by calling 0844 3180067. If you have purchased the App online - You will be prompted to set up your account then download the YourVoucherBook App from the App Store or Google Play. If you have purchased an App Activation Card from a stockist or online - It will included instructions to set up your account and then download the YourVoucherBook App from the App Store or Google Play. 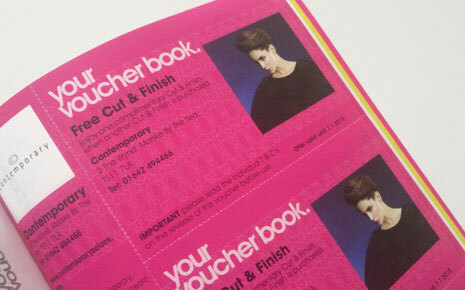 You're now ready to enjoy the huge range of savings in Your Voucher Book! Simply decide where you want to go and what you want to do, detach the vouchers and present to the retailer or tap to redeem on your App and present to the retailer. They're all buy one get one free or 50% discount vouchers. Our plan was to create a voucher book that allowed local people to enjoy local savings and one that everyone could use. There's no catch, it does what it says on the tin, just lots of lovely buy one get one free vouchers for your local area plus fab days out. Each book has 3 sections so whether you enjoy eating out, leisure activities or hair and beauty, there's something for everyone in our books. They are very easy to use, you simply decide where you want to go, detach the vouchers and present to the business. We launched the App version in 2018 for customers who prefer a digital version, which is user friendly and was a natural progression for the book.